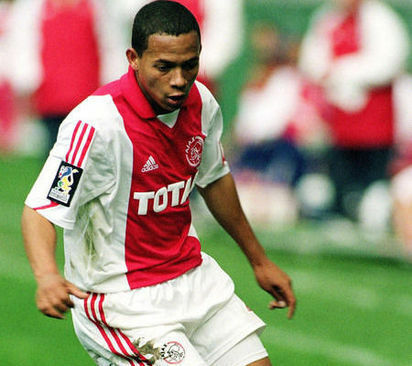 He was so popular at Ajax Cape Town that they even featured him in a song about the club. Shaun Potgieter, however, retired fairly young and the game lost a talented player but also a character and one of the funniest personalities in his team. Sit back, relax and have a laugh with ‘Potie’. Hi Shaun. Gone are the days of being a professional footballer. How is your nine to five job treating you? I think I’m better off with my 9 to 5. (Laughing) There was lots of stress at first, but I think I jumped out of the frying pan and into a dam. I am chilled now. I think as a player you have to impress not only John Comitis but 20 000 others too, the fans! Entertainment is not easy and then you have critics and you have your sell by date as well. To make it worse, at Ajax, because of the youth system you come through at 16, and by 20 you are seen as an older and more mature player. Then people start expecting more youth to come through and there is this cycle of pressure to perform. It is not an easy career. So I improvised and became more of a wingback, I began to penetrate from deeper, and it worked for me. I actually chat with Daine every second day … we met for lunch a few months back. He is quality. From the School of Excellence until now he has hardly changed. He is still the same guy and whatever he has achieved he fully deserves it … I’m sure he will keep going a long way. I mean, you don’t change your style for nobody. If whipping those crosses in gets you this far, then why change the way you play! Who were some of your funniest teammates over the years? Do you remember Andile Sixaba? I think out of ten training sessions Andile missed four when Rob McDonald was coach. Each time he would come to training with a stick. He would say his car tyre went flat, so he had to walk and carried the stick because the dogs were chasing him. Then coach Rob McDonald got cross (laughing). But John Comitis (CEO) told Rob that he cannot get cross with Andile because he is special, so don’t treat him like the rest of the players. I have to give John credit, he is streetwise. If you don’t have this as a club owner in the PSL then you are in trouble. Sometimes John would take you for drinks and he gave you the feeling he was a father not a boss. Rob would say to John ‘just fine him R5 000’ but John would say how can I because I don’t even pay him R5 000 (Laughing). Do you remember the club car, the white Toyota Tazz? 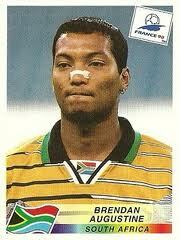 Steven (Pienaar) and I stole the club car one night and went to Brendan Augustine’s house for a party. But it was raining and we crashed into a pole. So we called Brendan and went to his house and he asked us where the car was? We said on the pole still because we could not start it. He said ‘well how did you get it as far as the pole then?’ Brendan took the rap for us, he called John and told him he crashed it. Overall at Ajax we had great team spirit … I couldn’t see that same vibe anywhere else. I mean, today guys go to training and then go onto their i-pads and nobody talks. I think you miss so much around you and we definitely had the best team spirit ever, we often had braais and birthday parties together. Your goalkeeper Garath Ormshaw loved to mess around. What do you remember about him? Oh ‘Gazza’ Ormshaw! He was thick. He was on the same level as all the crazy goalkeepers. Back at the School of Excellence we used to have shoe fights between the bottom and top dormitory. He would put a sheet over his head and act like a white spook… the young black players used to run away! He was a big guy and very intimidating, so when we played at Ajax he would put sand in his goalie gloves and throw it on the ground during a game just to get the supporters upset, thinking it was like muti. Once against Cosmos they had to stop the game for a while because he threw sand in the goals and he then threw the sand in the direction of the Cosmos fans too (laughing). I think we won the game, and he threw his gloves at the supporters. Shees, I think they burnt his gloves! Who was the best player you ever faced? Craig Rosslee. He was tough, but I used to say ‘Craig, your hair has moved to the one side now and you need to go and adjust it in the dressing room’. Another guy was Nasief Morris. Both were tough and the Cape derbies were hectic! Also ‘Skins’ from Wits. Eish, that guy! Ryan Hodgskin. He was fit and strong, very athletic. Best players you played with? Steven Pienaar, Eddie Dinha and Sheppy (Dillon Sheppard). I like Andile Jali. He’s got everything. I’d love him in my 5-a-side indoor team. *Don’t miss next week’s Part 2 of Potgieter’s interview!